Habitat - Dry to moist oak woods, pine-oak-hickory woods. 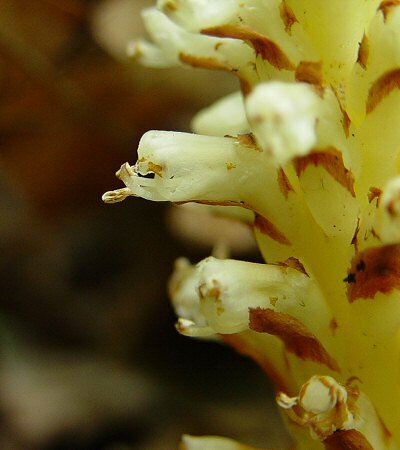 Other information - This little but distinctive species is parasitic on the roots of oak trees. The plant has no chlorophyll and thus lacks the need for large leaves. The leaves have been reduced to bracts which subtend the flowers of the plant. 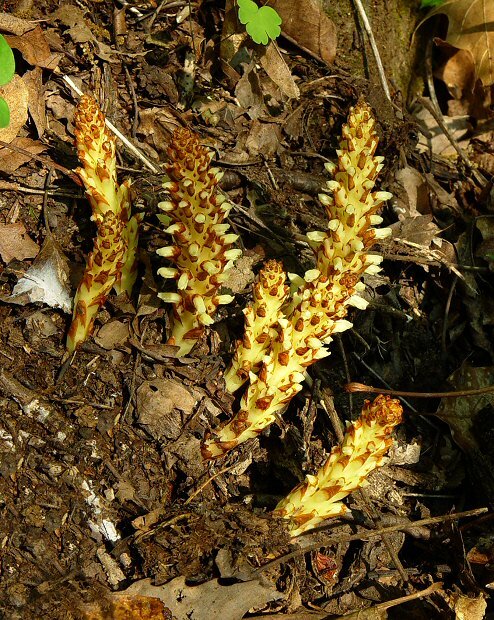 The genus name Conopholis is derived from the Greek "cono" meaning "a cone" and "pholi" meaning "a scale or scaly". The plant resembles the cone of a fir. Photographs taken in Linville, NC., 4-30-03 and 5-11-03.